DMMUK are proud to bring our beautiful, hard-working, lovely ladies (of all ages) an exciting pampering event. This is a perfect opportunity for the ladies to treat themselves to an evening of self-indulgence. Soft Drinks:	Available for purchase at the bar. Water provided free. 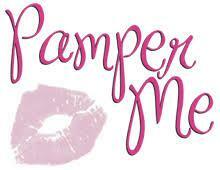 Pampering stalls:	We have a wide variety of stalls on offer. These include sarees, kurta, massage, manicures, pedicures, jewellery, aloe vera and fruit products, fresh carrot & ginger juice, biscuits, handbags, scarves, pani puri stall.... the list goes on and on, for an exciting, enjoyable and relaxed evening. Please note that this is pre-book event to help us manage the requirements for all our guests. Pre-booked tickets are not transferable or refundable. For health and safety reasons management reserves the right of admission. Stall Hire at £25.00 each, plus £6.00 pp for each person at each stall. Stall hire cost & food costs should be paid in full to the co-ordinators at the time of booking.